As with all good stories, this is really about a love affair. This unique winemaking collaboration is the result of our combined love for each other and the world of wines. We met in Australia working as seasonal cellar hands at Torbreck Winery. We quickly fell in love and have since been married. Between the two of us, we have worked at wineries such as Pax Wine Cellars, Peay Vineyards, Sine Qua Non, and Marcassin. We started Ryme Cellars in 2007 with one ton of Aglianico. Excited by the intensity and complexity of this wine, we embarked on producing intriguing wines of varieties that we personally enjoy. We soon made two Vermentinos, Ribolla Gialla, Cabernet Sauvignon, Cabernet Franc and Aglianico. In 2011 we wanted to expand our production to include some great Sonoma County Chadonnay and Pinot Noir vineyards as a compliment to the more esoteric offerings in our portfolio. 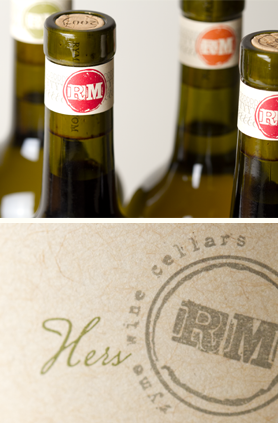 With Ryme we aspire to make honest and expressive wines that exhibit the characteristics of the variety and place from which it came.